I’m still holding to my prediction of a narrow 271-267 victory for President Obama, but he’s clearly lost momentum. I wrote a few months ago about Jon Lovitz rejecting the President’s class-warfare fiscal policy.Then he got mocked by Clint Eastwood, leading to a series of empty chair jokes (see here, here and here). 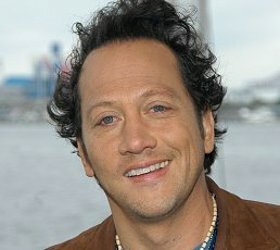 Now we see Rob Schneider turning against Obama, even though he is a self-professed liberal. Here are the details from The Blaze. But my Republican friends shouldn’t get too excited. Obama still has overwhelming support from the limousine liberals in Hollywood. When you’re sufficiently rich, the difference between 1 percent growth and 3 percent doesn’t really have much of an impact on your personal situation. It’s the rest of us peasants who need the growth and prosperity made possible by free markets and limited government. P.S. I mean “party” as in celebration not as in political party. The storming of the granary with the seeds of the future to have a smorgasbord of “free” stuff that “the rich” will pay for. Sure, keep hoping that humans will change. Perhaps the limousine liberals are finally getting a little upset that the harbors in the Carribean and Côte d’Azur are starting to fill up with yachts from those wretched emerging world countries who sure must be helped with money (Hollywood is big on international aid) but heck they are not allowed to really become productive and give us back product in return for money (i.e. protectionism against China and other emerging world countries). Those once third world billionaires crowding them out of penthouse apartments in NY, Beverly Hills mansions in their back yard, trophy properties throughout the world and private islands sure must be getting on Hollywood’s nerves. As incentives to produce flatten to European levels and economic growth sinks, everybody sinks, rich poor, liberals conservatives… It’s going to get interesting…. I’m starting to view Obama’s re-election as Mr. Mitchell sees Mr. Hollande’s election. I’m starting to get excited at how quickly American decline will yield its lesson in our ever faster moving world. No, it’s not your children’s problem folks, it’s just around the corner. America is now eighteenth in economic freedom. The engines are sputtering, momentum will not last long, this is not the eighteenth century… Huge boats loaded with three billion people are on the horizon, moving at five to seven percent… The party of HopNChange will not last long. Loot what you can during its short duration. As I said when Americans elected Obama: “Boy has America stepped on the banana peel!”. It’s irreversible folks!